VanillaFix is a mod that improves performance and fixes bugs and annoyances in vanilla Minecraft. Tripling FPS is common, try it for yourself if you don't believe it! 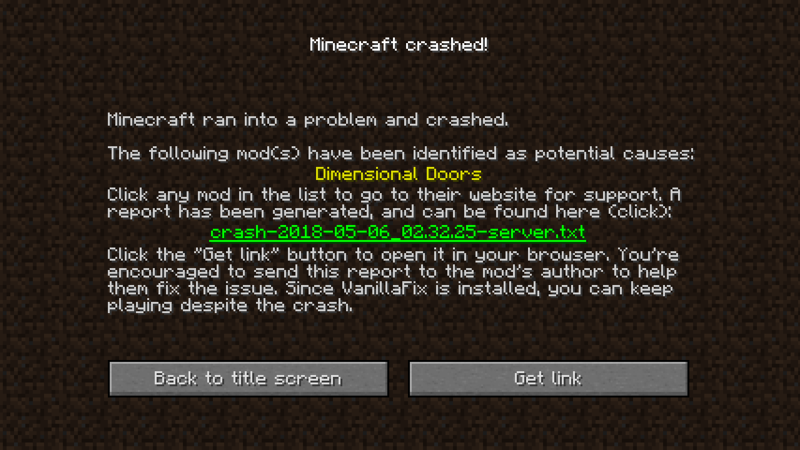 Also, with VanillaFix installed, Minecraft will no longer fully crash, but rather kick you out to the main menu and offer to upload your report to a paste site so that you can easily send it to others (test it by pressing F3 + C in game)! 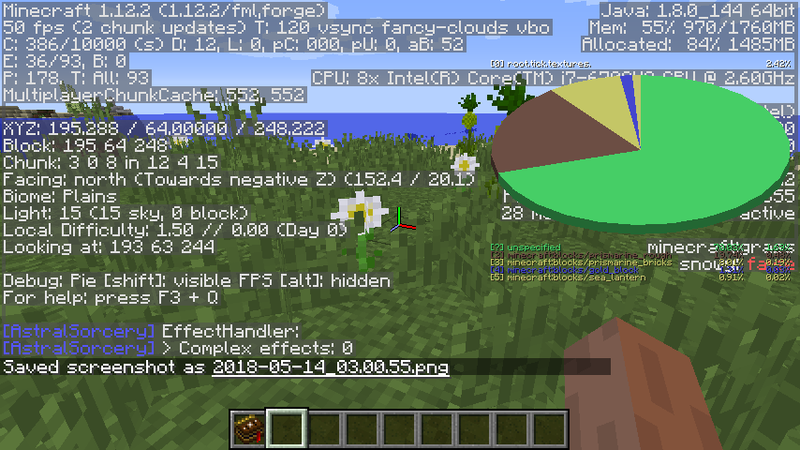 See also JustEnoughIDs, a mod that removes the block, item, and biome ID limits by using the 1.13 chunks in 1.12 (this feature was recently split from VanillaFix). Have questions or just want to know what we are up to on the mod? Join our Discord server to do just that! We talk about new and upcoming features regularly and answer any questions you can throw at us. Have a Minecraft bug you think could be fixed? You can also suggest it here! Won't keeping the game alive after a crash cause world corruption? Firstly, vanilla Minecraft also supports resuming after an OutOfMemoryError, which can happen on any line in the Minecraft client. All that this mod does is add more types of exceptions that can be caught (see https://paste.dimdev.org/xizukajiqa.java). Secondly, the whole runGameLoop function is exited after a crash, meaning that all objects created after initialization are destroyed. Since objects created during init should be immutable, the state after a crash should be identical to the state right after initializing Minecraft. Finally, the only crashes which are likely to cause world corruption are in the integrated server, which is separate from the client and restarted on each world join, meaning that even if the game is left in a broken state, that will probably not cause world corruption. There have been no reports of this happening despite the mod having gotten tens of thousands of downloads, but if you are still worried, you can make regular backups of your world in case something goes wrong, or decide to not use this feature by closing the game once the crash screen appears. Please report any issues you encounter on the issue tracker. If you can just keep playing after a crash, players won't report crashes anymore! With VanillaFix, we try to make reporting crashes as easy as possible: we provide a "Get link" button that automatically pastes the crash report, we plan on adding more debug info such as the last few lines of the log, dumps of tile entities to the crash report, to make them as complete and as helpful as possible, and we plan on providing links to mod issue trackers, and even reporting both crashes and exceptions that don't cause a crash (which are likely to never get reported!) automatically if snooper is enabled. Is this mod compatible with other optimization mods, such as FoamFix, BetterFPS, and Optifine? Yes, we try to make our mod as compatible as possible with other mods. In case of an incompatibility, you are encouraged to report it on our issue tracker. Why are you using paste.dimdev.org rather than Pastebin or Hastebin? Haste, the open-source software that runs hastebin.com looks much nicer and is quicker to load than pastebin's ad-filled site. We run our own instance of haste for two reasons: hastebin only keeps pastes for 30 days, which is bad for issue reports, and we don't want to put too much load on Hastebin. We even have custom syntax-highlighting for Minecraft crash reports on our haste instance, making it easier to find important information in a large crash report! Does this have to be installed both server-side and client-side? No, some fixes are for the client, and some are for the server. However, the mod can be installed on either the client/server without having to be installed on the server/client. Thanks for making this great mod! Why did you remove TexFix from the “included mod fixes” list? Why is the end gone when I play with vanilla fix 1.0.0-1? And why removes it the obsidian platform? Better question, why are you using our first released version? We are literally on 1.0.10-99, the most stable release to date, and you are using our first alpha that was broken beyond belief. Also, idk why its removed in your world. 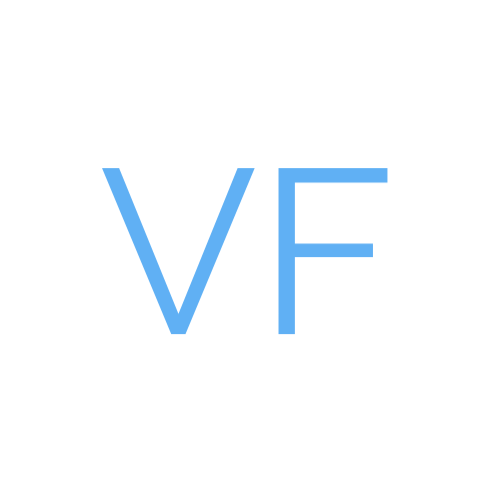 VanillaFix never touches the world beyond a couple of optimizations, so that's not from us. HOT damm, where have you been this whole eternity??? Depending on their use, hoppers can cause a lot of lag. I'm assuming you're using FoamFix's config option for better hoppers, which I'm not sure if it has been proven to improve the actually improve hopper performance, but this might be something we might look into as a future feature of the mod to hopefully reduce hopper usage. But to answer your question, yes, hoppers can cause a huge amount of lag if not used properly. Ah, sorry. I meant to post this on the BetterFps page. I have so many performance-related mods installed that I lose track. My bad. Could you port this to Fabric? I've heard its a godsend for modded. I absolutely love this mod, although I have a question: How do the improved crashes work? Can it not cause world corruption or other issues? If it’s possible to crash without having to restart the game, why doesn’t vanilla Minecraft do this? 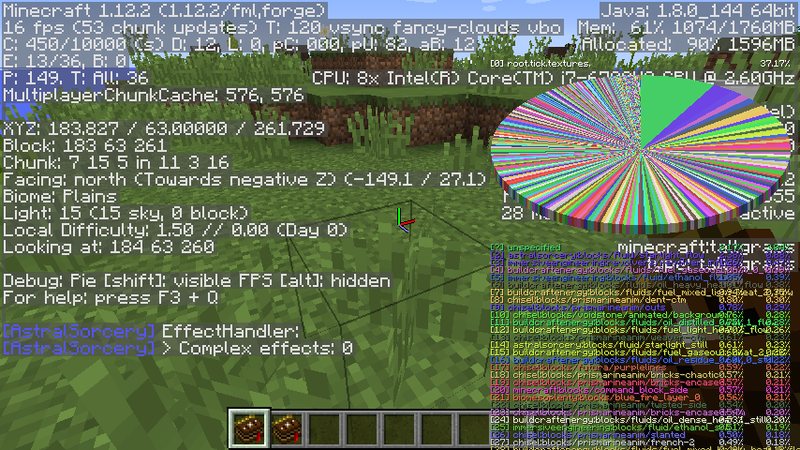 Improved crashes essentially works by catching the crash, and resetting the Minecraft internals as if it was a fresh launch by resetting all the GL flags and what not. As for why Minecraft doesn't do it, I don't know, why does Mojang do anything? We can't speak for them since I'm sure they've probably noticed VanillaFix by now and probably taken a look at the code. Maybe just the fact of how the game could be after a crash recovery, but who knows. If Mojang approached us and asked us to implement it into the base game, I know I would, not sure if Runemoro would lol. Tl;dr - We reset a bunch of stuff in code, and I don't know, ask Mojang, we added crash recovery cause why not. What you said reminds me of when Mojang wanted to implement OptiFine’s features into the vanilla game, but the OptiFine developer, sp614x, declined, as he said it’d make his mod obsolete (if I recall correctly). It's not even the fact that VanillaFix would be obsolete (Cause there is always stuff to fix and improve), it's just that we don't know why Mojang didn't add it. If Mojang or a dev from Mojang approached us and asked us to work on fixing major bugs and improving the overall game, I'd gladly step forward and work on making the game better, but until that day, here's a mod, there's a client, go nuts lol. I love the idea of this mod, to be compatible with other mods. Thank you a lot for this one, I'm gonna test it. Can I put this in a modpack?